John Scheb is Professor of Political Science and Faculty Fellow in the Howard Baker Center for Public Policy. During his thirty-two years at UT, Dr. Scheb has served as Head, Associate Head, Director of Graduate Studies and Director of Undergraduate Studies for the Political Science Department. He also has served as Director of UT's Social Science Research Institute, and Chair of the Legal Studies Program. Professor Scheb teaches graduate and undergraduate courses in American government, constitutional law, civil rights and liberties, administrative law, criminal law and procedure, the judicial process, and law in American society. He has authored or co-authored numerous articles in professional journals, including the Journal of Politics, American Politics Quarterly, Political Research Quarterly, Law and Policy, Judicature, State and Local Government Review, Social Science Quarterly, Political Behavior, Politics and Policy and the Tennessee Law Review. Professor Scheb has also authored or co-authored a number of books, including American Constitutional Law, 6th edition (2014); Criminal Law and Procedure, 8th edition (2013); An Introduction to the American Legal System, 3rd edition (2012), American Government: Politics and Political Culture, 4th edition (2006); Government and Politics in Tennessee (2002); and Law and the Administrative Process (2005). He is also coeditor of An Encyclopedia of American Constitutional Rights and Liberties (2007). 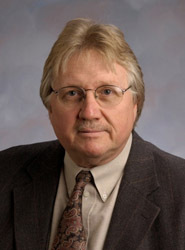 Proficient in survey research, Dr. Scheb has also served as a consultant to numerous government agencies, political candidates, corporations, attorneys, interest groups and other nongovernmental organizations.